Wiltshire and Dorset Bank, Salisbury, sculpture by Henry Bursill . I have not been so successful finding information on Henry Bursill, who was a London sculptor who was better known for his writings on hand sculpture (popularised again by a Dover reprint, still in print today), but he deserves coverage on these pages for his statues for Holborn Viaduct in London. 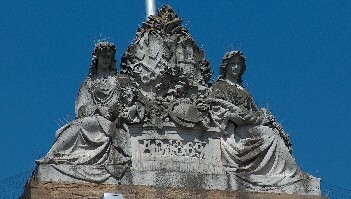 He made two of the four allegorical figures there and all four of the stone statues of great London mayors, of which only two survive. The allegorical figures are Agriculture and Commerce , depicted as rather full-figured girls in long gowns, large sleeves and sandals. Commerce looks the more ideal and calm-faced, while Agriculture is merely somewhat blank-faced. The Mayors are Sir Thomas Gresham and Henry Fitz Eylwin – both are strong figures, posed heroically. 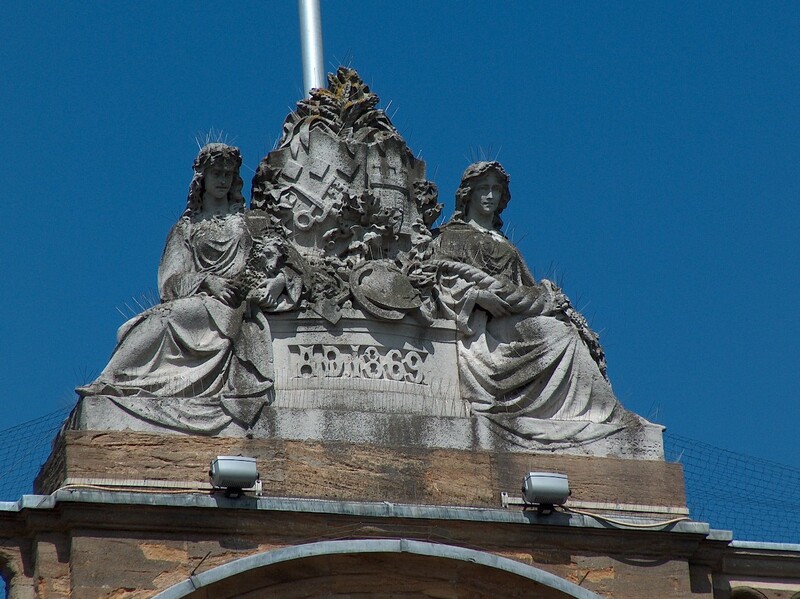 The only other work by Bursill I have actually seen is an 1869 work on top of the former Wiltshire and Dorset Bank, in Salisbury, which shows the city’s arms supported by two seated girls, one holding a lamb, the other a cornucopia. Again rather full-figured, with long hair and nicely-posed hands. A shame they are too high up to be properly appreciated. Bursill exhibited just short of a score of works at the Royal Academy between 1855 and 1870, the year of his death, his works being mostly portraiture, including Gibson , the architect, and William Behnes , the sculptor. He showed one Biblical work ( Composition from the Deluge ), and also his designs for the aforementioned Agriculture and Commerce .